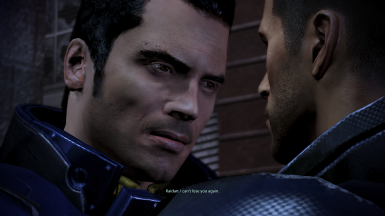 Are there any all scenes for Ashley/Kaidan in the new versions? I'd really like to end a relationship. 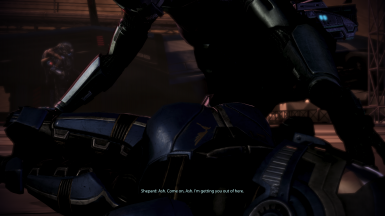 Does this mod include FemShep/Jack? 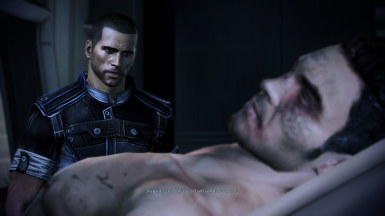 Do you have any plans to add compatibility patches for the mods listed as incompatible ? Or is that too much of an undertaking ? 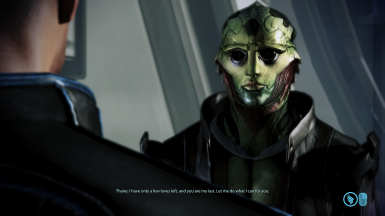 Curious about this myself, kind of a bummer to have to choose between this great trilogy spanning romance or having my favorite Varren on the normandy. 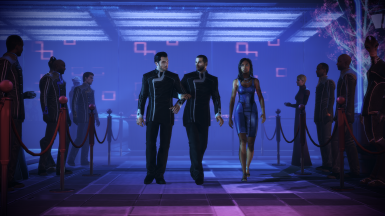 Compatibility, particularly on the Nexus which is very protective of creator rights, is a two-way street; it can't be done without both mod authors being willing to allow other authors to use their changes in their own mod. Certain specific mod creators are a little obnoxious about this and tend to refuse permission, particularly to particular types of mods. Not much you can do about it when that happens. 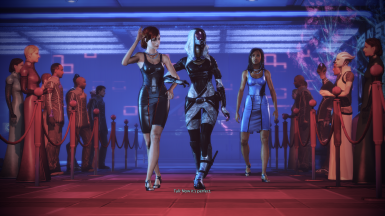 I personally would love a Miranda Mod Patch if that would be at all possible. 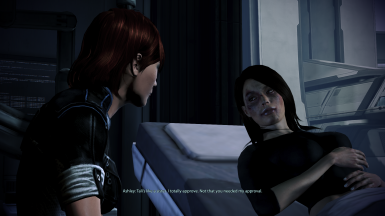 So I know I've already commented in the past on how amazing this mod, and the entire set is, but I'm now nearing the end of my Talimance run, and one thing I noticed is that with drunk Tali after Sanctuary, she still called Femshep her boyfriend, and then unvoiced line from femshep with subtitles. 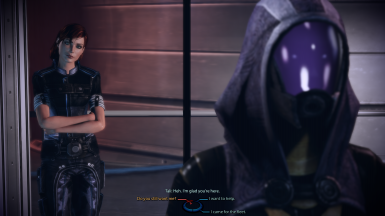 I personally don't mind as its so minor I didn't really care and I was amused, but I was wondering if there was a way to perhaps kill the romance flag there and just have her normal convo with femshep play to avoid that. 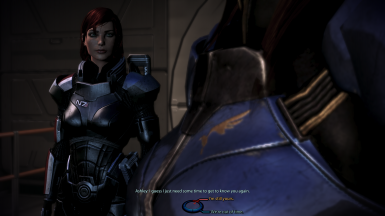 I figure not with how picky me3 plot flags are, but I was just curious. 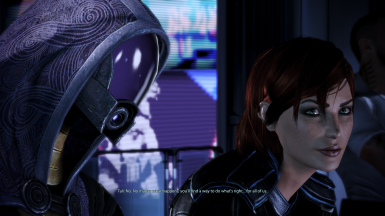 That conversation is actually already fixed in this mod, but the extra Liara conversation in the EGM Custom Extras Pack causes the fixes to be overridden, since they both affect the same file. Ah, good to know, thanks. I now know to avoid that one once I reinstall everything. Should I install this mod before installing a lot or after? Content mods like this should always be installed before A LOT. 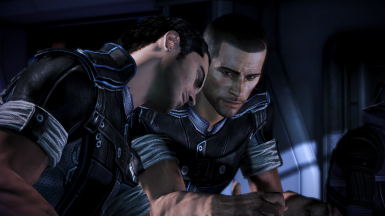 There isn't any unused MaleShep audio for James' Citadel fling, so there's not much I can do unfortunately. 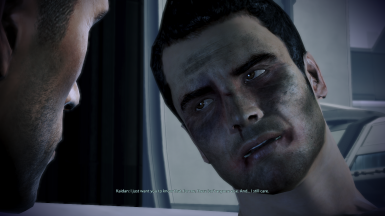 I apologize for my bad English, I'm Italian and I play Mass Effect trilogy in Italian. To use this mod I have to select English language or can I use Italian and I will have in English only the love dialogues? 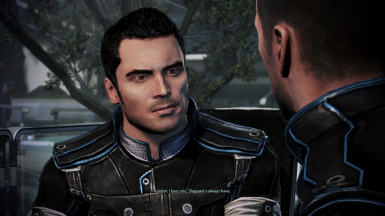 This mod can only be used with English voices, but you can still use Italian subtitles.